These options, whether box or bag, travel well and keep your caramel contained. A loaded caramel apple dipped in chocolate, toffee, nuts or sprinkles is no easy thing to hold together. These options ensure all your fancy morsels won’t be wasted. With so many packaging options out there for caramel apples, we get that it’s hard to choose. The focus of this packaging is on the apple. That’s what should show through. That’s what should POP! It doesn’t matter if it’s fancy or a simple old-fashioned caramel apple. It’s the quality of your apple that is important. Wouldn’t you agree? Let’s take a look at each option more closely to match the needs of your apple. Less is more with a candy apple in a box (FS56). 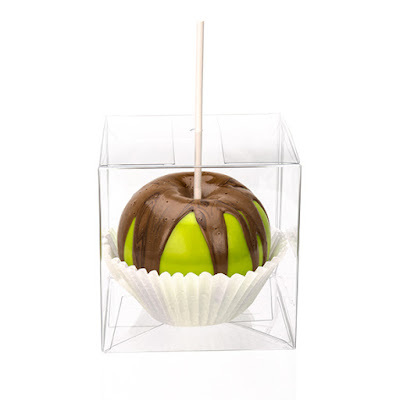 This sturdy, sleek box is built specifically for the caramel or candied apple. A hole-tip on the top of the box will keep your apple from tipping over. An apple double-dipped in chocolate or in an extra layer of nuts stays secure and free from any smudging against the walls of this roomy box. It is also easy to put together and scratch resistant. Add a custom label for the perfect finishing touch. 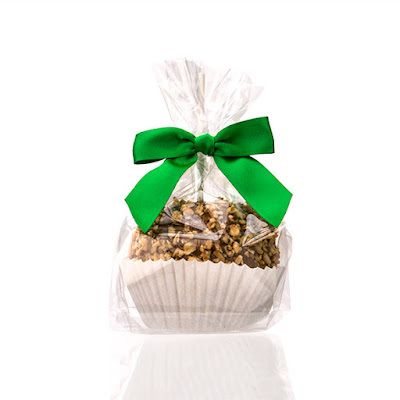 Gusset bags offer a cute and casual lunch-sack style for packaging your apple. 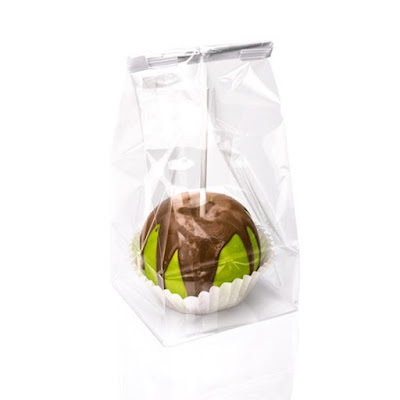 The flat bottom gusset bag (FG9) works well for large, bulky items and is a great fit for a decadent caramel apple. A 4-inch gusset on the side seam minimizes cling and spilling of precious toppings. It’s a convenient way to package your apple for picnics, hayrides, or a walk among the changing fall colors. Tie a bow on this package to add your own favorite fall color. The flat bottom gusset bag with a paper insert in the bottom (FGPB7) is a sophisticated packaging option without compromising anything in the charm department. The white paper insert adds stability and a refined touch. This bag is flexible with a 4-inch expandable gusset and tall enough to enclose the apple stick. Hold the bag in place by folding down the top of the bag and applying tape or an adhesive tie. Your apple will be fully protected in inclement weather and poised to brace any fall storm. 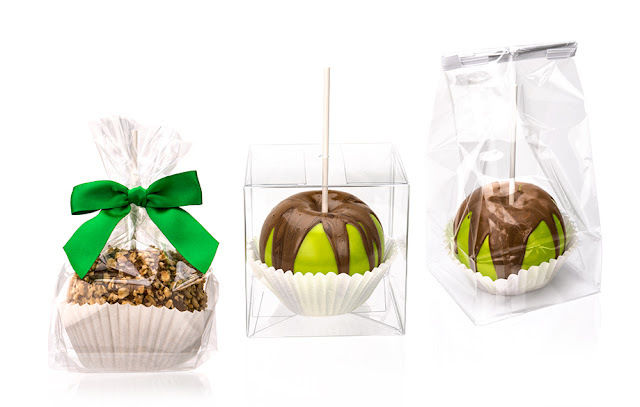 These three packaging ideas put a spotlight on your caramel apple. Celebrate fall with this scrumptious treat! Love one of these options, but want something more? Try custom printing! Check out the customs page on clearbags.com to explore creating something perfectly tailored to your brand and product.